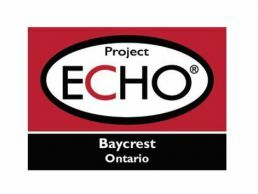 Baycrest Health Sciences, in partnership with North East Specialized Geriatric Centre, is launching the second cycle of “Project ECHO Care of the Elderly” (ECHO COE), a telehealth program that aims to help primary care providers build capacity in the care of older adults through weekly video conference sessions. ECHO COE will be held weekly on Wednesdays from 3:30-5:00 pm, from Sep 5, 2018 to Dec 19, 2018, with the exception of Sep 19, 2018. The goal of this free educational program is to enhance the quality of care for older adults in Ontario, by improving the knowledge and skills of primary care providers. ECHO COE will connect primary care providers to an interprofessional team of geriatric experts through weekly videoconferencing sessions, which will include didactic lectures and case-based learning. CME credits will be provided. No special equipment is required – just a computer, tablet or smartphone with internet access. For more information, please see the flyer and info letter.